Sometimes inspiration just hits me. 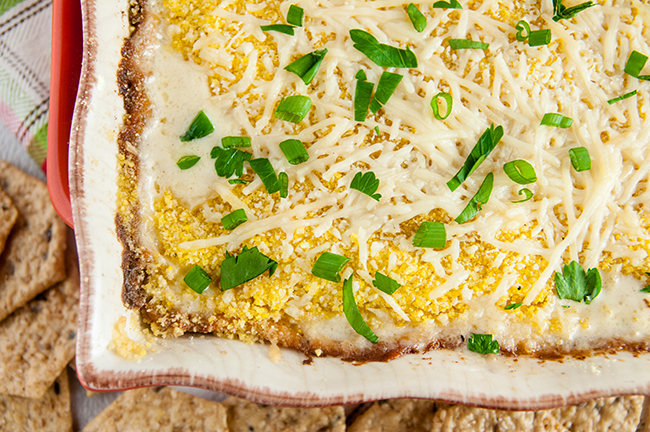 This baked crab dip was one of those bam moments for me. I was looking for something new to do for Christmas Eve. I mentioned before we always have a Christmas Shrimp Scampi, thanks to me growing up celebrating a version of the Feast of Seven Fishes. Well, since getting married, our tradition now includes crab. My husband loves crab legs. They might be his very favorite food ever. It’s a toss up between that and buffalo wings. In fact, a really long time ago, when my husband and I were first dating, he took me out to dinner to celebrate my college acceptance letter and scholarship offer. We had known each other less than two months when that acceptance letter came. so in theory, he was still trying to impress me. Or not. He ordered crab legs and a baked potato at dinner. That’s fine. Then he proceeded to turn the baked potato into an alien by sticking the discarded shells in the potato. Charming dinner manners, huh? Well clearly, it didn’t bother me that much, because here I am over 15 years later still thinking about that and watching as our daughter climbs all over the dog. However, this is one of those cases where like father like daughter. Goose would absolutely stick those crab shells where they have no business being. But while husband was only in danger of not impressing me much (typed while I sing Shania Twain), crab shells and Goose are just a baaaaaad idea. So instead of crab legs, I thought, hey cheese and crab sound awesome. 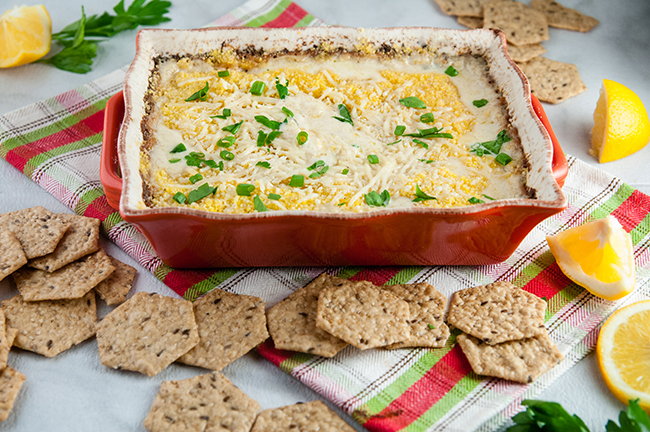 Crab mac n cheese would be too much work on Christmas Eve, but cheesy baked crab dip? Perfect. It took 5 minutes of prep and 20 minutes in the oven. Then it would be an amazing snack while we watch Christmas movies before going about our busy, merry making night. 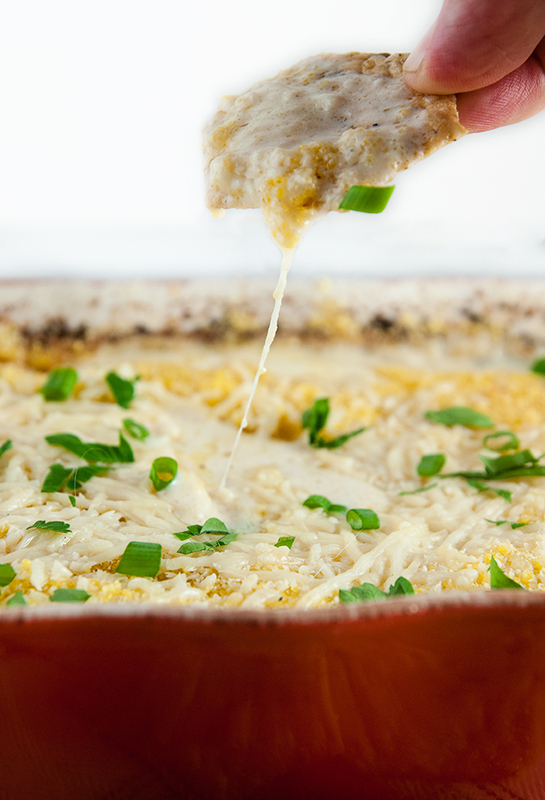 Plus, it’s creamy, cheesy and so addicting. The 3 of us at the entire tray of dip for dinner one night. We just could not stop eating it. It was that good. I mean 2 kinds of cheese, garlic, and crab make any amazing flavor. I used Parmesan for flavor and gooey goodness while I used marscapone as the base. Marscapone is an Italian cream cheese but it’s smoother and less tangy than the cream cheese you are used to. It makes for the perfect velvety background to the crab. Really, the whole combo is just clean the dish GOOD. We used every cracker, celery and carrot stick, and piece of bread to get all the goodness out of the casserole dish and into our bellies. I’d say it’s a dish worthy of being served at any party or gathering any time of year. 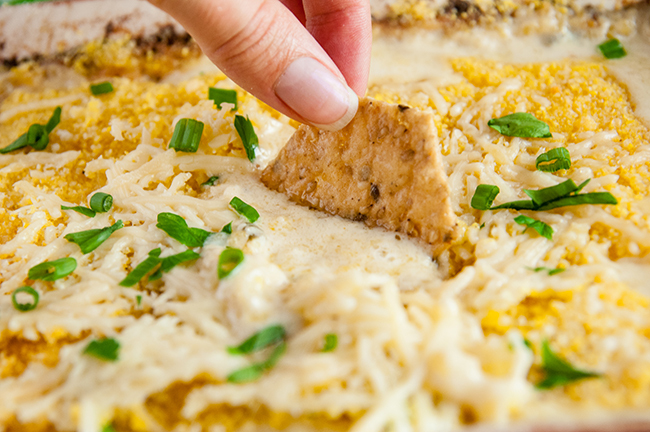 Set aside 1/4 cup of shredded cheese, 2 tablespoons of the grated cheese, and about half the bread crumbs. Mix all the other ingredients together until well combined in a large bowl. Pour into an oven safe dish. Top with the reserved cheese. Bake at 350 for 15 to 20 minutes or until the dip is bubbly. Serve hot, with veggies, bread, or crackers for dipping. Please be aware that this post may contain affiliate links. I only link to products I use and would recommend. For my full disclosure policy check here. This looks amazing! 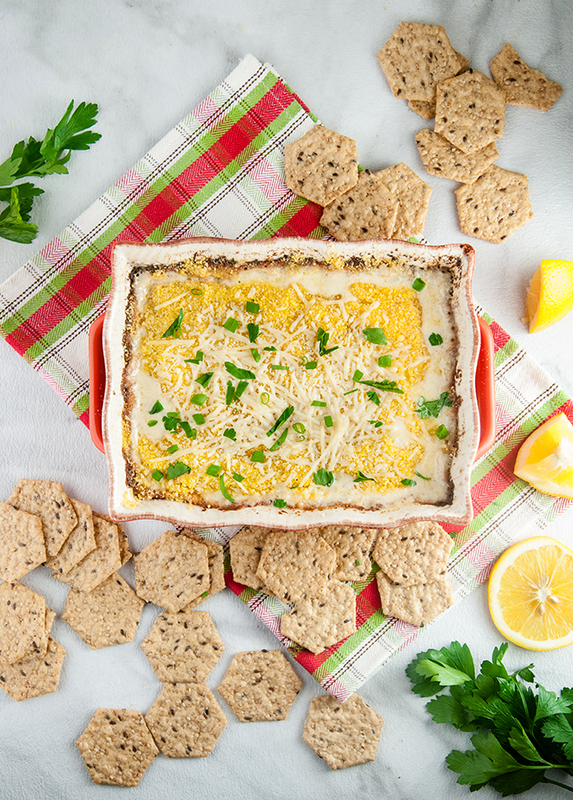 I have to tell you that I’m at my desk eating chex mix because I didn’t get the chance to get out for lunch and I would love to have some of this crab dip right now! 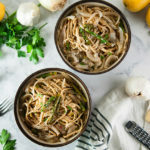 I love how easy the recipe sounds to make too. 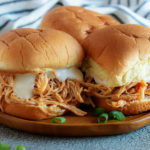 I am always looking for quick, yummy things to make…and my son loves crab so he would be excited. I might have to add this to my plans for our Christmas Day Brunch! Haha, I hear you on the Chex mix Laura. I can’t tell you how often I end up eating handfuls of cereal or crackers and calling it breakfast or lunch even though I’m a food blogger. Between writing my blog, my other writing work, and chasing around a very busy little toddler, it’s hard! I have not had good crab dip since i lived in Topsham, Maine. However this recipe has me really craving some. I am going to try this as it looks scrumptious! This looks so yummy! 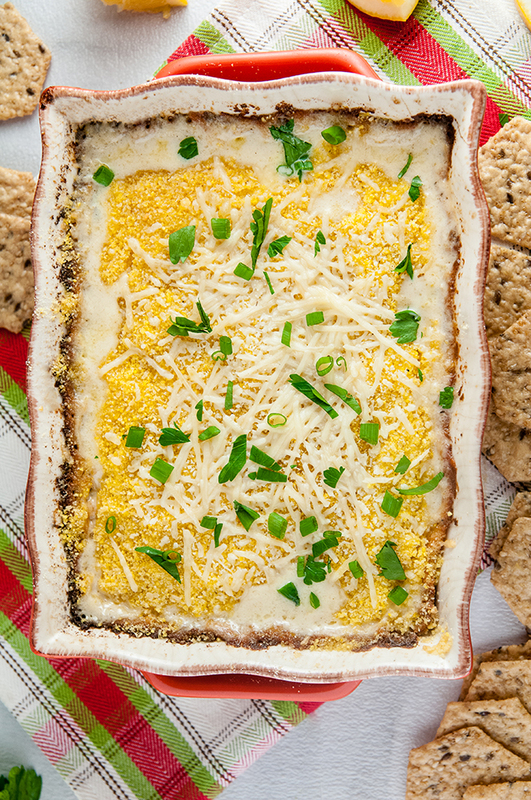 A great holiday appetizer! 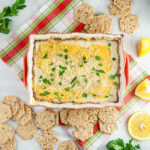 I love fish dip and a warm crab dip sounds amazing! This looks so yummy! 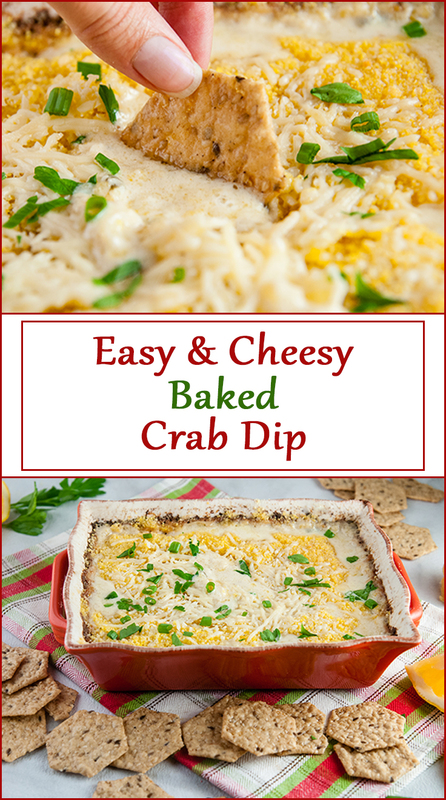 I love crab (especially in mac and cheese), but I also like the idea of a dip that would pair with crackers or celery. Mmmmm crab mac n cheese. Yes please! Well this looks delicious! We eat a bunch of different appetizers on Christmas Eve and I just might have to add this to the menu! Ohhh sounds like a yummy experience. I love appetizers! This dip looks and sounds amazing. I think it would be the perfect addition to my Christmas Eve all fish menu. I love seafood and this is definitely a great idea! Thanks for sharing it! OMG this looks so yummy! I will have to try it this week! YUMMY! My mouth is watering reading this. I LOVE anything with crab so I am going to try this out ASAP! girl, this looks crazy delicious! Oh! I have never tried this recipe before. It seems like it would be a hit with my husbands family. I will forward this to them! Oh this looks perfect for a holiday get together! Love it and must try! 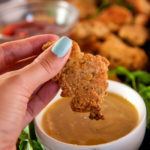 This is the perfect holiday appetizer recipe! Pinning for later! 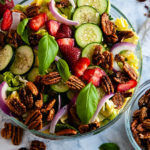 Ohhh… you are so not helping my huge craving for crab right now… this looks and sounds so much more delicious than the crab salad pinwheels that I wanted! So easy to make! It would hit that crab craving fast!